It's not uncommon for tech startups to challenge existing business arrangements that enjoy the protection of long-established laws. However, the status quo doesn't usually bend over backward without a fight. Overlook an obscure regulation, and you could be slapped with a hefty penalty that effectively halts traction to a standstill, siphoning off cash from important objectives like product development, sales and marketing, and recruiting. The best way to avoid such inconveniences? Partner with legal counsel from the very beginning. An experienced technology-focused lawyer can alert you to any "gray areas" that could potentially attract lawsuits, government investigations, and other problematic events that could send your startup into a downward spiral. Additionally, a good lawyer can help draft founders' agreements, prepare venture capital arrangements, and recommend appropriate intellectual property protection. Failing to secure critical legal documents and counsel is one of the most common mistakes we see new entrepreneurs make when transitioning from ideation to market. Put simply, every startup that has reached the fundraising stage can benefit from having legal counsel on retainer. With that said, identifying which law firms have a solid understanding of the technology industry can be challenging. In this article, we review eleven London law firms and solicitors that make the grade for tech startups. Wilson Sonsini Goodrich & Rosati pioneered the model of representing technology and life sciences enterprises at every stage of development, from entrepreneurial start-ups to multibillion-dollar global corporations. For example, WSGR incorporated Google and subsequently was lead counsel for Google’s IPO. WSGR represents more companies in their U.S. venture financings than any other law firm, and currently acts for more than 300 public enterprises and 3,000 private companies. With 15 offices in technology hubs throughout the world — and with special emphasis on Europe, America, and Asia — WSGR is especially adept at handling international legal matters. Notably, WSGR has advised hundreds of U.K. emerging tech companies on U.S. expansion and on U.S. fundraising, commercial and exit transactions. When technology-driven companies decide to enter the U.S. market—whether to expand, raise investment capital, or pursue a key transaction—Wilson Sonsini Goodrich & Rosati offers those companies distinct advantages. WSGR works closely with key local stakeholders — investors, accelerators, incubators, professional advisors, strategic partners, and government economic development agencies — to provide home market support on U.S. matters and ensure that companies have the right teams around them to succeed in the U.S.
Penningtons Manches LLP is a UK-based firm with a longstanding reputation for excellence. The firm maintains offices in the City of London, Basingstoke, Cambridge, Guildford, Oxford, Reading, and San Francisco. Known for its strong ethics and personalized level of customer service, the firm provides technical expertise to private individuals; owner managed businesses and startups to multi-national corporations. The firm's 110 partners and more than 600 employees are organized into multi-disciplinary teams focusing on a variety of industry sectors including technology, life sciences, education, social housing, retail, and international wealth. The industry widely acknowledges Penningtons Manches for its unparalleled market insight. We pay great attention to matching your requirements with the right skills, delivered cost-effectively and within the appropriate timescale. Our clients range from private individuals; owner managed businesses and start-ups to multi-national corporations, public companies, professional partnerships, banks and financial institutions. 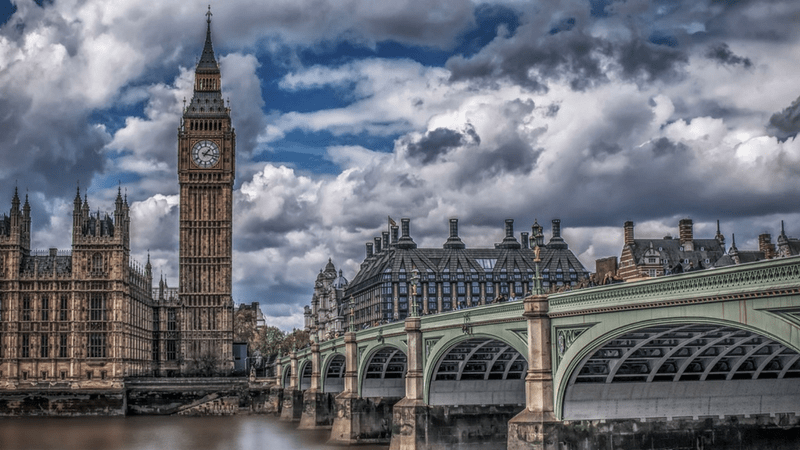 London hosts one of the hottest startup communities in the world. Unlock powerful resources to scale your tech startup by downloading the London Startup Guide. For almost 60 years, Gelbergs has provided both individuals and businesses with high-quality legal services at affordable rates. The firm prides itself on traditional values: quality, trust, and excellence with a modern approach: unstuffy, accessible, and offering a bespoke service. It has a plethora of positive client testimonials to vouch for its adherence to these. Gelbergs offers services in litigation, property, commercial, wills and probate, and employment law. Its solicitors also work closely with the start-up communities in both the Islington and City Fringe areas and host regular, interactive workshops for businesses on topics ranging from the ‘gig’ economy to data protection and recruitment and preventing sexual harassment at work. If you are looking for a smaller, more personable firm that can walk you through everything from drafting onboarding employment documents to resolving a business dispute, look no further than Gelbergs. We have confidence that our modern, practical approach and commitment to high standards of service are key to your success. We are forward-looking and innovative and enjoy working with our clients to prevent, and if necessary resolve problems. EIP is a top-tier intellectual property law firm with offices in both the U.K ., Germany and the United States. The firm specializes in patent, trademark, and design registration; IP search; IP strategy; and IP litigation. Since opening its doors in 2000, EIP has grown faster than any other IP firm this century. Founded by partners with both private practice and in-house backgrounds, the firm has managed to create adaptive services designed to meet individual client needs. The firm believes its sustained growth is the result of consistently delivering excellent customer service that generates ongoing referrals. The company is notably adept at servicing clients in the mobile technology, computing, software, and high-technology optics sectors; and has a burgeoning high-tech mechanical engineering practice. Renowned for its experience in patent drafting and strategic patent prosecution, EIP's digital team has also been engaged in a number of high profile patent litigation cases, both in the UK, Germany and the US. The firm also specializes in advising chemical companies, bio-tech startups and top-ten pharma in regards to life sciences and medical device technology patents. A coherent IP strategy is crucial to any business, from start-ups looking to formulate best practice for the protection of their IP, to established companies managing multinational patent portfolios. Our strategists have many years of experience working in-house for large corporations managing international IP portfolios, and they bring their wealth of experience to bear in developing processes and procedures to guarantee best practice IP governance for their clients. Lewis Silkin is a commercial law firm renowned for their work with creative, innovative, and brand-focused businesses. The firm prides itself on "delivering pragmatic advice in a refreshingly human way." Instead of siloing its lawyers into traditional departments, Lewis Silkin disperses them into specialized sectors of industry. The firm's specialized technology team has experience within all operational and strategic areas of businesses for start-ups, investors, and global brands alike. Lewis Silkin lawyers advise on a range of topics including public and private fundraising, ICOs, content sharing, data protection and cyber security. Our job is to help the players stay ahead of the game, providing legal and commercial advice which is as focused and forward-thinking as they are. Technology and communications is a core sector for us, so we continue to invest heavily to ensure we provide market leading legal advice that helps our clients to stay at the cutting edge. Wiggin exclusively focuses on advising clients on the financing, exploitation, and protection of their creative and commercial assets in the media and technology sectors. The firm focuses on innovation, working on a variety of interesting projects. These projects include patented digital trust frameworks, digital content technology, screen-sharing technology, user-generated creation and licensing, software making automatic clips, wearable technology, and human voice recognition. Wiggin prides itself on functioning as an extension of the startups it serves. The firm routinely facilitates warm introductions to potential investors, advisors, and employees on behalf of its clients. Through the firm's partnership with both Microsoft Ventures and the Wayra accelerator programme, Wiggin enjoys access to some of the world's most prominent entrepreneurial luminaries. Alongside its specialist commercial expertise, the firm provides a full legal service across corporate, tax, finance, litigation, employment, and property. The firm’s Brussels office provides further legal support and lobbies EU decision-makers on behalf of clients on a wide range of matters, including EU copyright, audiovisual regulation, data protection, competition policy, trade, and e-commerce. From putting our enterprising minds to the latest challenges in retail, right through to helping the banking world make the most of mobile, we’re always searching for ways to harness commercial value through emerging technology. We’re here to apply that mindset to every commercial challenge our clients face, whatever their business. Vanessa Ganguin and Paul Samartin have been recognized as top immigration experts by Who’s Who Legal, Legal 500, and Chambers & Partners. The solicitors pride themselves on a personalized approach that ensures every client receives the highest quality legal advice available. They have experience assisting entrepreneurs, investors, startups, and individuals with a variety of topics including investment levels, sources of funding, entrepreneurial teams, permitted investments, negotiating the rules on dependents, and indefinite leave to remain (including accelerated). By partnering with a network of accountants, tax advisors, and property consultants, the team can provide clients with a complete range of services. We make use of our extensive contacts, including Home Office and consular, to ensure the best outcomes for clients. We are dedicated to always finding the fastest and most economical solutions to suit each case. Nothing is too last minute, or complex for us and our services are very competitively priced. With 33 offices around the world and a dedicated team of more than 1,000 lawyers, Taylor Wessing is a full-service international law firm. Combining commercial wisdom and legal expertise, Taylor Wessing offers clear and practical advice to empower its clients to make informed business decisions. In 2017, among many of the firm's achievements, Taylor Wessing's Niri Shan was named Media, Privacy and Reputation Lawyer of the Year at the Spear's Wealth Management Awards. Additionally, Taylor Wessing received AlFi's Legal Advisory Firm of the Year award. We know what our clients want. We build a deep knowledge of our clients’ businesses, understanding the key issues and strategic priorities. Our uncompromising commitment to helping clients achieve their aims is why we act for some of the worlds most successful companies. Osborne Clark has helped thousands of businesses to tackle the biggest digital, economic, environmental, and political challenges. With hundreds of highly qualified legal experts across a variety of industries, Osborne Clark has worked with some of the world's largest and most successful market leaders. In fact, Osborne Clark's team of more than 725 lawyers offers advisement across eight core sectors including digital business, financial services, real estate and infrastructure, retail and consumer, energy and utilities, life sciences and healthcare, recruitment, and transport and automotive. We're listeners, innovators and problem solvers, finding new ways to join the dots between your challenges today and the opportunities being created in an ever-evolving, ever-developing global society. Founded in 2013, JAG Shaw Baker offers commercial and corporate legal advisement focused in a variety of areas including life sciences, clean tech, digital technology markets, and more. Collectively, JAG Shaw Baker has represented hundreds of European companies and investors. Co-Founder, James Shaw will speak at Biotech and Money's World Congress 2018, on the fifth and sixth of February in London. From landmark intellectual property wins in China, terms of agreement for a book launch in Space, creating legal frameworks for clinical trials to shepherding a music platform to 40 million users, advising a disruptive financial tech company, and M&A for sale-side venture-baked acquisitions, JAG Shaw Baker's legal team creates a collaborative culture and gives our clients access to exceptional commercial legal advice and industry expertise. Orrick offers commercial advice on transactions, litigation, and compliance. Orrick currently serves more than 1,600 high-growth companies across 25 markets in the United States, Europe, and Asia. For their work on behalf of the world's most disruptive companies, The Recorder named Orrick the 2016 Corporate Department of the Year: Emerging Companies. We are the leading global tech firm -- with top rated practices in technology companies, capital markets, M&A, IP litigation, employment, securities litigation, white collar, data, privacy and security, antitrust and public policy. Our clients include multinational technology companies such as Oracle, Microsoft, NVIDIA, Intel, Cisco, and others, as well as newer entrants such as Pinterest, Stripe, 23andme, eHarmony, Quora, SoFi, Betterment, Planet Labs and others. Scaling a tech startup provides no shortage of challenges. The last thing you need is to create an unnecessary roadblock by failing to secure proper legal counsel early-on. Unlike the Googles, Facebooks, and Amazons of the world, most startups cannot afford to pay hefty legal fees in the face of opposition. In addition to helping protect your own interests, tightening your legal infrastructure will also make your startup more attractive to top investors. The best way to ensure you're on the right track? Network within an existing tech community of startups that have already accomplished what you are trying to do. 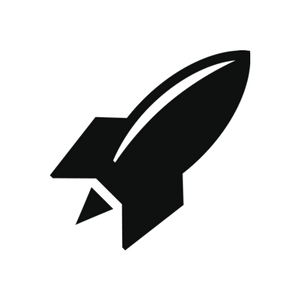 At RocketSpace, we provide Seed to Series C-funded tech startups with flexible coworking arrangements, warm introductions, and a global ecosystem of resources designed to accelerate success.